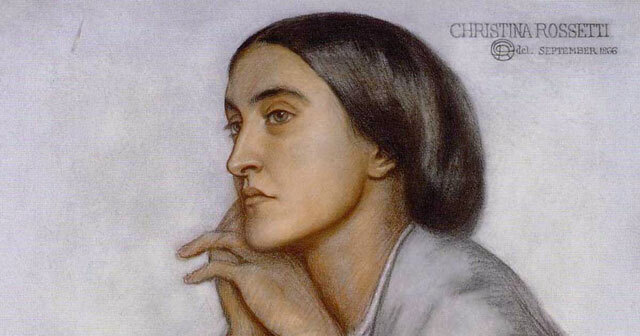 ● Christina Rossetti was born in London in December 1830, one of four children of Italian parents. ● After a short spell endeavouring to set up a day school, she withdrew somewhat into a private world, suffering from bouts of recurring and often debilitating illness. ● Later in life, she became emotionally involved with another gentleman, Charles Cayley, but in this instance his ambivalent attitude to Christianity was sufficient for her to refuse any proposal of marriage. ● With the publication of a major anthology of poems in 1862 (including Goblin Market), her reputation grew and she was widely recognised for her work during her lifetime. ● She continued to be intimately connected with the Pre-Raphaelite circle of painters, models and poets for much of her life, and amid a broad social circle enjoyed friendships with many of the luminaries of the age, including William Morris, Bell-Scott, Swinburne, Lewis Carroll, Elizabeth Siddal, James Whistler and many others until her death in 1894. ● Although published in 1862, the poem, which is in sonnet form, was written much earlier when Rossetti was still in her teenage years - probably around the time of her engagement to James. ● The poet contemplates her own mortality and considers the effect her death will have on those closest to her. Perhaps she is thinking, too, of one special person, someone she loves. ● She asks that she be remembered, but not that the remembering be overdone. 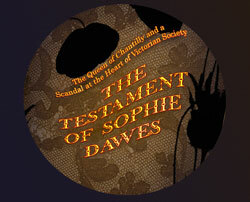 The lengthy process of mourning was a Victorian obsession that she would have known only too well. Just a year before publication, the husband of Queen Victorian died suddenly and unexpectedly at the age of 42, ushering in decades of public mourning. ● Those who are bereaved, the poet suggests, should do well not to grieve excessively, at least not in the long term. Nor does she wish those who remember her to be sad. She would rather they forget her entirely - better to forget and smile than to remember and be sad. ● The middle lines of the sonnet are also revealing, stating that after her passing it is already too late to counsel or to pray - perhaps (if the poem was indeed conceived at the time of her engagement), a reference to her fiancé’s Catholicism. With a little irony she tells us that it will all be too late by then. ● Finally, the poet wonders if there might be some vestige of consciousness that might remain beyond the corruption of the grave, and if so, urges her reader to reflect on her wishes. It is both a high Gothic sentiment, and a noble one. a Petrachan, or Italian sonnet of 14 lines containing two distinct sections: the first 8 lines being called the 'octave' and the remaining 6, the 'sestet.' In such pieces, the boundary between these two sections, called the Volta, often accompanies a turn or change of direction in the meaning of the piece as a whole. ABBA ABBA for the octave, then CDD ECE for the sestet.